The revolutionary BANDSPEC raincape, complete with Matching pouch. 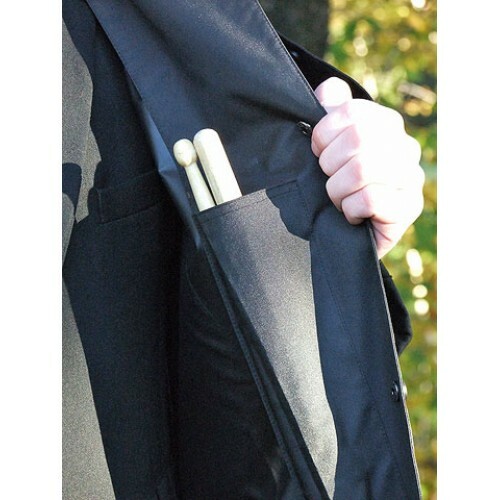 Specially developed & tested by PM Robert Mathieson, with unique new features never before incorporated into any bandsman’s raincape. 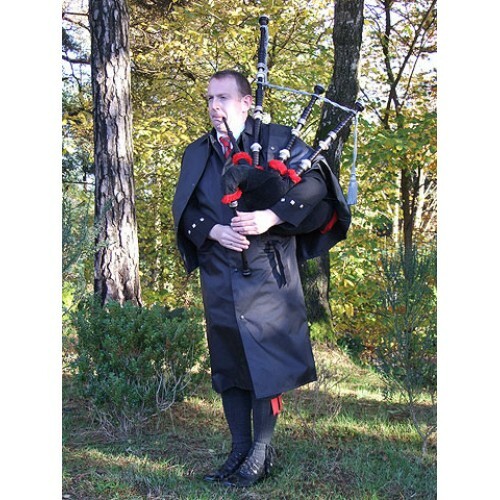 The first choice of pipe bands worldwide. XS - to fit normal chest size 29"-33" (74cm-85cm) / back length 42" (107cm). Extra Small is a good juvenile size for ages around 8-11 - no taller than 5’1”. S - to fit normal chest size 34"-38" (86cm–97cm) / back length 47.5” (120cm). Small is a good size for slim adults/juniors with heights from 5’1” to 5’7”. M - to fit normal chest size 39"-42" (99cm–107cm) / back length 49.0" (124cm). Medium suits most adults of medium build with heights up to 5’11”. L - to fit normal chest size 43"-46" (109cm–117cm) / back length 49.5" (126cm). Suitable for adults up to 6’ 3” in height. XL - to fit normal chest size 47"-51" (120cm–130cm) / back length 49.5" (126cm). XXL - to fit normal chest size 52"-55" (132cm –140cm) / back length 49.5" (126cm). Please note that the normal chest sizes detailed above are over shirt or sweater only. A generous allowance is made during manufacture for wearing over jacket/uniform.